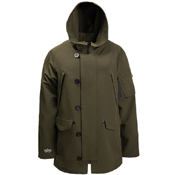 The N-3B Doubleweave is our lightweight, wind and water resistant parka. 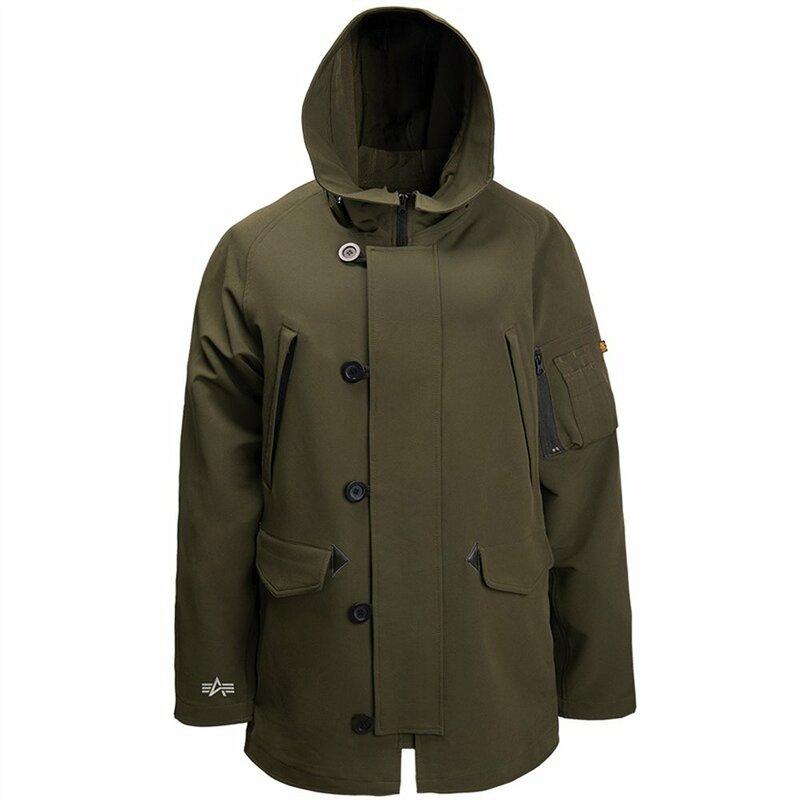 Made with our performance fabric, this parka offers superior protection against the elements. The N-3B Doubleweave has an adjustable hood as well as a button-and-loop closure storm flap. The Alpha reflective details on the back shoulder and wrist are the perfect finishing touch. For a Doubleweave flight jacket check out the L-2B Skyray. The N-3B Doubleweave has two zippered chest pockets and two snap-flap pockets with leather reinforcements. It features Alpha’s signature zippered utility/pencil pocket on the sleeve. 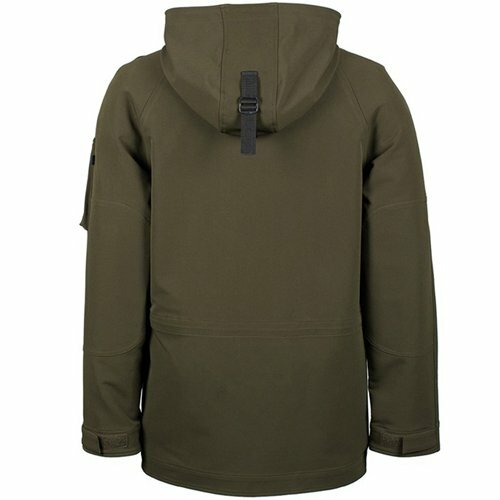 This parka has a doubleweave shell made from 93% polyester/7% spandex.